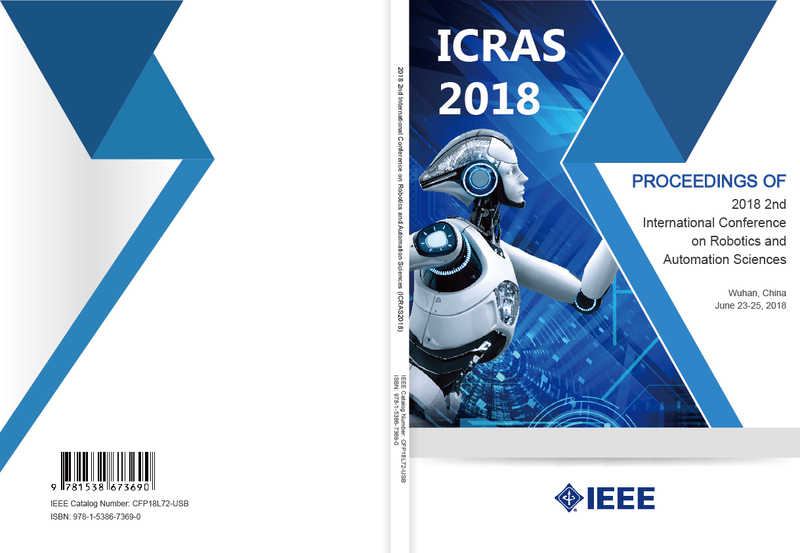 2018 2nd International Conference on Robotics and Automation Sciences was held during June 23-25, 2018 at China University of Geosciences (Wuhan) in Wuhan, China. 在中国地质大学(武汉)的支持下，2018年第二届机器人与自动化科学国际会议于 2018年6月23-25日 在中国`武汉·中国地质大学(武汉) 召开, 促进机器人与自动化等领域的学术交流与合作，非常感谢大家的参与支持！本次会议录用文章被收录进 ICRAS 2018 会议论文集，由 IEEE 出版， 送检 Ei Compendex 核心 和 SCOPUS. At the beginning, Prof. Liu Jie, the Vice-President of China University of Geosciences (Wuhan) welcomes all the participants on behalf of the China University of Geosciences (Wuhan). After his welcome remarks, the conference chair, Prof. Huafeng Ding, China University of Geosciences (Wuhan) gave a opening remarks for the conference..
MengChu Zhou received his B.S. degree in Control Engineering from Nanjing University of Science and Technology, Nanjing, China in 1983, M.S. degree in Automatic Control from Beijing Institute of Technology, Beijing, China in 1986, and Ph. D. degree in Computer and Systems Engineering from Rensselaer Polytechnic Institute, Troy, NY in 1990. He joined New Jersey Institute of Technology (NJIT), Newark, NJ in 1990, and is now a Distinguished Professor of Electrical and Computer Engineering. His research interests are in Petri nets, intelligent automation, Internet of Things, big data, web services, and intelligent transportation. He has over 700 publications including 12 books, 400+ journal papers (300+ in IEEE transactions), 11 patents and 28 book-chapters. He is the founding Editor of IEEE Press Book Series on Systems Science and Engineering and Editor-in-Chief of IEEE/CAA Journal of Automatica Sinica. He is a recipient of Humboldt Research Award for US Senior Scientists from Alexander von Humboldt Foundation, Franklin V. Taylor Memorial Award and the Norbert Wiener Award from IEEE Systems, Man and Cybernetics Society. He is a life member of Chinese Association for Science and Technology-USA and served as its President in 1999. He is VP for Conferences and Meetings, IEEE Systems, Man and Cybernetics Society. He is a Fellow of The Institute of Electrical and Electronics Engineers (IEEE), International Federation of Automatic Control (IFAC), American Association for the Advancement of Science (AAAS) and Chinese Association of Automation (CAA). Abstract: Human beings have experienced two major industrial revolutions. The first one took place in the 19th century, which replaced muscle power from humans and animals with mechanical power. The second one started in the middle 20th century, which provided people and societies with Internet. It was built with the technologies from computing, communication, networking and information storage. Both offered unprecedented productivity increases. What will be the next one? This talk intends to answer this question by presenting some recent development of Internet of Things (IoT) and smart systems. IoT was selected by IEEE as a major initiative to develop and advance over the next few years. Several recent studies have predicted the huge growth of IoT and tremendous benefits to the world economy. It was expected that 26 billion IoT units would be installed by year 2020, generating $300 billion in revenue. The IoT will generate an additional $1.9 trillion in economic value. We plan to present a system engineering approach to Internet-of-Things-based smart systems and their applications to smart manufacturing, smart cities, smart gird, smart medical and healthcare services. Dr. Dan Zhang is a Professor and Kaneff Research Chair in Advanced Robotics and Mechatronics in the Department of Mechanical Engineering of the Lassonde School of Engineering at York University. 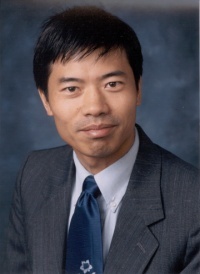 From July 1st 2004 to December 31 2015, Dr. Zhang was a Professor and Canada Research Chair in Advanced Robotics and Automation, was a founding Chair of the Department of Automotive, Mechanical, and Manufacturing Engineering with the Faculty of Engineering & Applied Science at University of Ontario Institute of Technology. He received his Ph.D. in Mechanical Engineering from Laval University, Canada, in June 2000. Dr. Zhang’s contributions to and leadership within the field of robotic and automation have been recognized with several prestigious awards, within his own university (Research Excellence Award both from university level (2009) and faculty level (2008)), the Province of Ontario (Early Researcher Award in 2010), the professional societies (election to Fellow of the ASME in 2016, the EIC in 2012 and the CSME in 2010), and federal funding agencies (Canada Research Chair in January 2009 and renewed in January 2014). Besides, he was awarded the Inaugural Teaching Excellence by the Faculty of Engineering and Applied Science of UOIT in 2006and the Best Professor Award by UOIT Engineering Students' Society in2012. 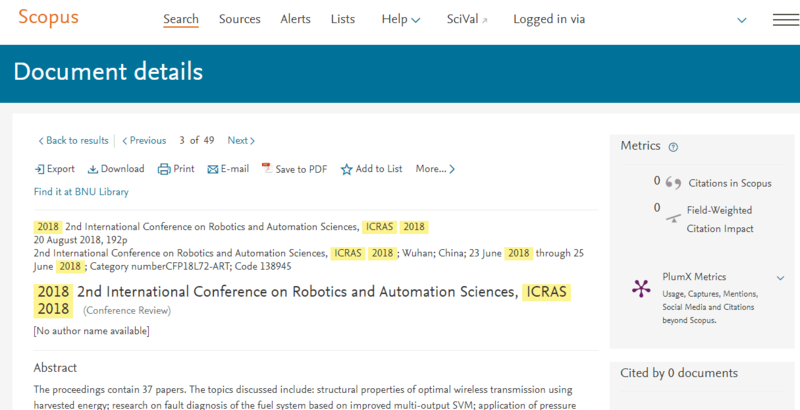 Dr. Zhang is the editor-in-chief for International Journal of Mechanisms and Robotic Systems, the editor-in-chief for International Journal of Robotics Applications and Technologies, Associate editor for the International Journal of Robotics and Automation (ACTA publisher) and guest editors for other 4 international journals. Dr. Zhang served as a member of Natural Sciences and Engineering Research Council of Canada (NSERC) Grant Selection Committee. Dr. Zhang was director of Board of Directors at Durham Region Manufacturing Association, Canada, and director of Board of Directors of Professional Engineers Ontario, Lake Ontario Chapter, Canada. Dr. Zhang is a registered Professional Engineer of Canada, a Fellow of the Engineering Institute of Canada (EIC), a Fellow of the American Society of Mechanical Engineers (ASME) and a Fellow of (Canadian Society for Mechanical Engineering) CSME, a Senior Member of Institute of Electrical and Electronics Engineers (IEEE) and a Senior Member of SME. Abstract: There has been increasing in developing enviromentally-benign manufacturing technologies, robots, etc. This is considered a significant step in achieving sustainable development. Sustainability of a manufacturing system becomes critical technology that enables manufacturing companies to reduce production costs and improve their global competitiveness. System sustainability can be achieved by reconfiguration and decentralization, whose system configurations are evolved with the changes of design requirements and dynamic environment. The modular construction of parallel robotic machines allows them to be used as a class of reconfigurable machine tools. Nevertheless, parallel robotic machines as contemporary manufacturing robotic systems often have difficulty meeting the highly increased workplace demands on (1) operational accuracy, (2) operational load capacity, (3) task adaptability, and (4) reliability. For example, according to some large robot/robotic machine tool manufacturers and manufacturing robot user, i.e., ABB Robotics, Ingersoll Machine Tools Inc. and ATS Automation Tooling Systems Inc., the current robotic systems for high speed machining often fail due to thermal effects, which fatally distort the accuracy of the systems. According to the International Federation of Robotics (IFR), more than 60% of industry robots operating in the manufacturing industry are articulated robots (i.e., serial robots), or robots that can only allow material handling, but not material fabrication. In this talk, the rational of using parallel robotic machines for green and sustainable manufacturing is discussed and explained. A comparative study is carried out on some successful parallel robotic machines and conventional machine tools. Meanwhile, the latest research activities of parallel manipulators in the Laboratory of Robotics and Automation of UOIT are introduced, they are: parallel robotic machines, reconfigurable/green robotic manipulators, web-based remote manipulation as well as the applications of parallel manipulators in micro-motion device, MEMS (parallel robot based sensors), wearable power assist hip exoskeleton, and rescue robot. Chiharu Ishii received Bachelor of Engineering degree in Mechanical Engineering from Sophia University in 1992, Master of Engineering degree in Mechanical Engineering from Sophia University in 1994 and Doctor of Engineering degree in Mechanical Engineering from Sophia University in 1997. Chiharu Ishii worked at Ashikaga Institute of Technology between 1997 and 2002, at Kogakuin University between 2002 and 2009, and at Shibaura Institute of Technology between 2009 and 2010. 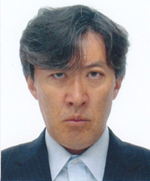 Since 2010, Chiharu Ishii has been working at Hosei University, and currently he is a Professor with the Department of Mechanical Engineering, Faculty of Science and Engineering at Hosei University. He has received several awards such as The Best Paper Award in the area of Tactile and Haptic Interfaces at the 4th International Conference on Human System Interaction (HSI2011); Best Paper Award at the 1st International Conference on Computer Science, Electronics and Instrumentation (ICCSE2012); Best Presentation Award at the International Conference on Intelligent Mechatronics and Automation (ICIMA2013). He is currently a member of IEEE, SICE, JSME, RSJ, IEEJ and JSCAS. His research interests are in medical robotics, assistive technology and robust control. Abstract: Recently, robotic surgery using the surgical robot such as da Vinci surgical system has been performed clinically in the field of laparoscopic surgery. Most recently, the type of operation called single-port surgery (SPS) has been performed by surgeons in the field of laparoscopic surgery. Unlike the conventional laparoscopic surgery, in SPS, multiple surgical instruments are inserted through only one incision hole on the umbilicus. SPS can further reduce the stress on the patient during laparoscopic surgery. However, surgeons are required to have an advanced technique and experience to perform SPS since the surgical operation is performed in a limited work space. In this talk, the haptic surgical robot for single-port surgery developed in our laboratory, termed "HASROSS", is presented. HASROSS consists of two robotic arms with forceps manipulator and one robotic laparoscope. The robotic arms with forceps manipulator are manipulated by haptic input device Omega 7 made by Force Dimension Inc. In addition, a grasping force of the forceps and a force added to the forceps shaft are fed back to the surgeon through the Omega 7. While, the robotic laparoscope is controlled by using a motion sensor, "Kinect for Windows", so that the surgeon can operate the laparoscope with his/her head motions. Some experimental results are shown.